There are many great personalities whose biographies people have read to savour the strokes of genius in them and to follow in admiration their ways of life and their attitudes towards the difficulties and problems which confronted them. The mere act of reading might be only link between these great personalities and those who know them and it might develop into a deep study or a strong human bond. I must hasten to say that I did not write about the greatest of all the personalities, Muhammad (pbuh), 'Blessings and Peace be upon him' son of 'Abdullah, with this limited concept in mind. I am a Muslim through knowledge: I know why I believe in Allah (swt) 'The Exalted', (Lord) of the Worlds, and in the prophethood of Muhammad (pbuh), and why I follow the Book he brought to us. Indeed, I know why I call others to believe in all this which has brought tranquility to my heart. 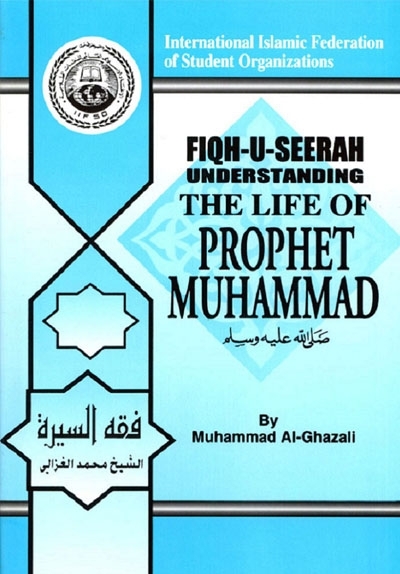 I happen to have previously published a number of treatises on the life of Muhammad (pbuh). Did I ever digress from it in anything which I wrote? All the treatises in which I discussed faith, morals, social behaviour and government, I depended heavily on the life of Muhammad (pbuh) for their material. Thus I can truthfully say that this book is not a sudden link with the Prophet of Islam (pbuh), nor is it a collection of proofs for his truthfulness, nor ideas which occurred to me about his genius. All that has been analysed at length elsewhere. In producing this book I had a specific objective in mind and I hope it has been achieved. The Muslims of today know only the surface layer of the life of Muhammad (pbuh), which neither arouses emotions nor evokes resolutions. They extol the Prophet (pbuh) and his Companions from inherited tradition and little knowledge, and think that verbal praise or some small act is sufficient. Such shallow knowledge of Muhammad (pbuh) is equivalent to ignorance of him. It is unjust to the great reality that it should be turned into a legend. It will be injustice to that period of history, which was pulsating with energy and strength, to be presented in the shrouds of the dead. The life of Muhammad (pbuh) is not for Muslims, the entertainment of an idle person nor the study of a neutral critic. It is the most excellent example for them to follow, and the source of the laws by which they are governed. So any shortcomings in the presentation of this biography or any confusion in its sequence of events will be terrible injury to the reality of faith itself. Thus I have done my utmost to give readers a true picture of the life of the Prophet (pbuh) and I have made every effort to give the reasons and explanations for whatever took place during his life time. Then I have allowed the plain facts and their effects on minds without any bias or subterfuge. I have made good use of the biographies written by both ancient and modern scholars. The modern historians lean towards analysis, comparison, and the tying up of various events into a systematic whole. That is the best part of their method. However, the ancient historians rely on the collection of details, sifting of sources, and recording of small and big events. These numerous archives contain gems of importance if only proper use is made of them. Perhaps here I have blended the two methods in a new way which extracts the best from the both. From the details of the biography I have compiled a cohesive topic, all of whose parts are bound by one spirit. Then I arranged the texts and narrations in such a way as to conform with the unity of the topic and help to complete the whole picture. My aim was to make the biography into something which nurtures faith, purifies character and fans the struggle, which encourages one to embrace the truth and be faithful to it and which contains a wealth of relevant examples. I wrote about the life of Muhammad (pbuh) as soldiers would write about their general or employees about their employer or pupils about their teacher. I am not, as I have said, a neutral historian unrelated to whom I write about. Moreover, I wrote with the scenes of Muslim backwardness right in front of my eyes. So do not be surprised if I relate the events of the life of Muhammad (pbuh) in a manner which hints at our sorrowful state. Whenever I present a story I include in it references to the true sentiments, sound thoughts and noble actions of a Muslim to correct this terrible degradation. Muhammad (pbuh) is not a story to be read on his birthday as many people do now, nor is he to be extolled in fabricated prayers added to the words of the Adhan (prayer call), nor can love for him be expressed in poems of praise which may make his admirers sigh when they hear them. The ties that Muslims have with the noble Prophet (pbuh) are stronger and deeper than these deviations which have been thrust into the faith. The Muslims have indulged in these acts to express their relationship with their Prophet (pbuh) only when they have neglected the essentials of their faith and contended themselves with outward manifestations and formalism. However, since these formalisms are limited in Islam they have resorted to inventing new forms. They should not innovate. To turn away from inventing formalities does not require much efforts. The effort that does require determination is to hold fast to the essence which has been neglected and return to the true faith. So instead of listening to the story of the Prophet's (pbuh) birth being recited in a pleasant voice, one should get up and reform oneself in order to draw nearer to the Prophet's (pbuh) practices in his worldly and spiritual life, in his likes and dislikes, in his knowledge and action, in his habits and forms of worship and in matters relating to war and peace. The Muslims in whose hearts the Prophet does not live and whose insight does not follow them in their actions and thoughts will never benefit by merely sending Salah and Salam to him a thousand times a day. I should like to emphasize here the necessity of separating seriousness from fun in our lives. It would be nice to fix a time for fun and relaxation and not exceed it and a time for seriousness and work and not fall short of it. The transformation of the Qur'an into mere melodious chanting to which music lovers listen to is like one what made the Jews and Christians broadcast it everywhere, confident that it would not revive the dead. 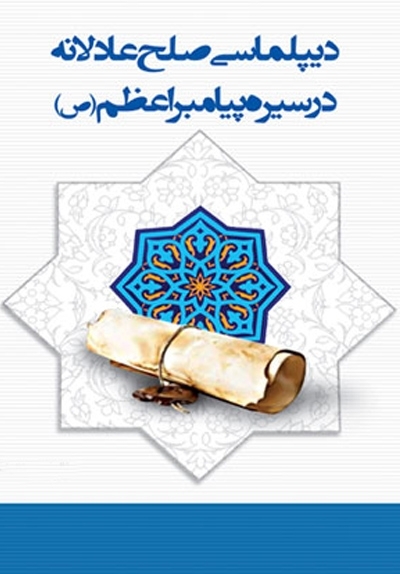 The transformation of the Prophet's (pbuh) life into stories, Qasidahs and unintellgible prayers has made listening to it a form of mental imbalance and eccentricity, which in my opinion stems from a perversion of the instincts, and corruption of society. It would be much better for music lovers to listen to pure music. If they wish for serious work, they should seek it from pure sources, whether it be the Qur'an which commands and prohibits, or the Sunnah which clarifies and explains so that it may be followed, or the Sirah which gives the fragrance of pure literature, sound principles and upright politics. And that is Islam. I began writing these pages while I was in Madinah in the holy precinct, which brought me good fortune for a while and assisted me in completing some useful studies on the Sunnah and the life of Muhammad (pbuh). To Allah (swt) belongs the Grace for whatever bounties He (swt) has bestowed on me and perhaps He (swt) will make me of those who love Him and His Messenger (pbuh) Now, since I can speak and act only with frankness, I must point out that the distance between the Muslims and their Prophet (pbuh) is wide indeed, no matter what love for him they have in their hearts and what prayers they offer for him. I saw them visiting his grave with zeal and yearning before returning to their homelands to find those who envy them for their good fortune and long for the same chance. No believer would dispute the fact that love for the Prophet (pbuh) is compulsary and that love for him will vanish only from the heart of a stubborn hypocrite. How should one make this feeling expressed and show its allegiance to him. This is the question that needs explanation and clarification. Yathrib, from the point of view of general economics, is smaller than it was under the Aus and Khazraj in the pre-Islamic days. The proportion of its land planted and cultivated today is one tenth of what the Arabs used to plant and cultivate in the old days, the majority of the inhabitants today are those pilgrims and visitors who remained behind after their pilgrimage. They preferred to be near the Prophet (pbuh) and unemployed rather than to go home and work. And they call this Hijrah! Is this Islam or love for the Prophet (pbuh)? I remember meeting a group of Morroccans who claimed that they came to Madinah to escape persecution for their faith. I explained to them that they were fleeing from the battlefront because their brothers were fighting the French invaders, and they were committing a crime in leaving them to bear the brunt of the struggle all by themselves.1 Such a love for the Prophet (pbuh) is incomprehensible and such a Hijrah to his Madinah is unacceptable. The bond between the Prophet of Allah (pbuh) and the slaves of Allah (swt) is stronger and firmer than finding expression in such crooked, devious paths. The enemies of Islam were able to demolish the structure of Islam and turn it into ruins as a result of the negligence of the Muslims. How could the heritage of Muhammad (pbuh) be left open to the vicissitudes of time? How could the early days of Jahiliyah be allowed to return? How could such a dangerous transformation be allowed to occur in silence? How could such a dangerous transformation be allowed to occur in the expressions of love for the Messenger of Allah (pbuh)? Let the Muslims therefor understand fully the life of their great Prophet (pbuh). This would never occur if the Message itself were clearly understood and the life of the one who conveyed it is studied and his teaching strictly followed. How cheap is the love when it is only a talk! And how dear it is when it is ideal, safe and assured! I apologize for my inability to do proper justice to the subject. The Prophet's (pbuh) importance is great, and explaining his life needs a sensitive mind and a sharp intellect. Let it suffice to know that this is my effort. O Allah! bless Muhammad (pbuh) and the family of Muhammad (pbut) just as you blessed Ibrahim (as) and the family of Ibrahim (as), and be bountiful to Muhammad (pbuh) and the family of Muahmmad (pbut) just as you were bountiful to Ibrahim (as) and the family of Ibrahim (as). Verily You are the Praiseworthy, All-Glorious.